The other day when I went shopping at Michael's with a great coupon which was good on my entire purchase, I splurged a little a bought something that has had me curious for a long time. You've probably seen them in stores and catalogs too, and maybe even used them yourself. Can you guess what it is? Clover makes some clever things, and this is certainly one of them. It's their Yo-Yo Maker and it comes in several different sizes and even in some other shapes besides round. I exercised restraint yet again and only purchased one, the large round one. I chose this particular one because I have made yo-yos myself the old fashioned way in this same size and shape and I wanted to be able to make a fair comparison. I gathered up some leftover fabrics and ironed them, then after reading the directions to see just how this little gadget worked, I began. It didn't take long before I got the hang of it and was whipping out yo-yos like crazy. What fun! Here's a close-up of my favorite. I just love that fabric and the little pleats came out so even and neat. I'm really liking my new toy! I especially love how they all come out so uniform. Isn't this a pretty flower? What I really love about this gadget is that there is no need to trace a shape and cut it out precisely and worry about folding the circular edge and using the same seam allowance on each one to get consistent results. You just sandwich the fabric between the two pieces of plastic, trim off the excess fabric, stitch through the holes, pop it open and draw up the thread. That's it! How much easier could it get? And fun too! Now I just have to figure out what to do with them! I'd love to know what you do with yours. I have two sizes of these fun little guys! 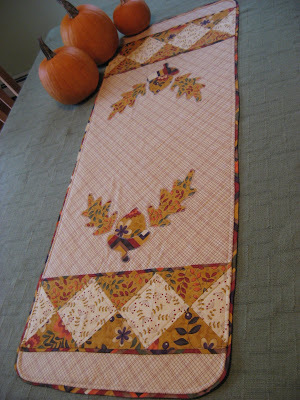 I'm making a table topper from Americana colors. I have several of these - two round, heart and flower - I've only made round yoyos so far - they are FUN! I've been using them to decorate my fabric baskets :) Clover has come out with a jumbo size now - I can't wait to try it! I have all 4 sizes of the circle yo-yo makers and love them. Also have a heart and a flower one. 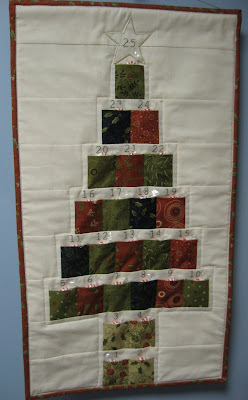 Love making them in my spare time to add onto quilts, etc.